(Libreville, Jan 07,2019):Gabon has arrested the military officers who seized the national radio station as part of an apparent coup attempt on Monday, a government spokesperson said. A group of five soldiers announced early Monday morning that they had taken control of the radio station and seized power from the country's long-ruling President Ali Bongo to "restore democracy", the BBC reported. Announcing the establishment of a "National Restoration Council", the soldiers said they were disappointed by Bongo's message on December 31 from Morocco where he was recovering from a stroke. He has been battling ill health since October. They said the message showed the ailing President's strong attempt to remain in power. A New Year's address by Bongo "reinforced doubts about the President's ability to continue to carry out the responsibilities of his office", said Lieutenant Kelly Ondo Obiang, leader of the self-declared Patriotic Movement of the Defence and Security Forces of Gabon. "It is time to take our destiny into our hands. The long-awaited day has come, the day when the Army decided to take the people's side to save Gabon from chaos," Obiang said in a video that was circulating on social media. According to local media outlets, gunshots were heard in the Gabonese capital as Obiang was reading the statement. He later managed to flee but four other soldiers were arrested following an intervention. "The situation is under control. The gendarmes who are often stationed there have taken control of the entire area around the radio and TV headquarters, so everything is back to normal", said government spokesman Guy-Bertrand Mapangou. "All five of the rebels who tried to take charge were arrested by the authorities," he said, adding that the Army generals, civil society and opposition leaders mentioned in the rebels' statement as potential supporters would be investigated. 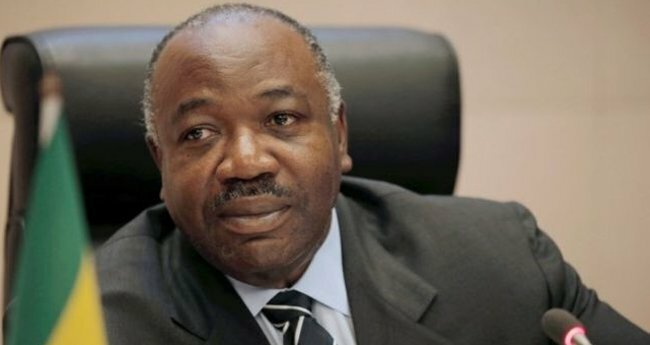 After a court validated the election results, Bongo's challenger at the time called the decision "biased" for "pointedly ignoring the urgent calls for transparency launched by the national and international community".